Methyl Undecylenate is a linear ester with a terminal double bond, that can be used as a chemical intermediate in the synthesis of aromatic chemicals, of polymers or modified silicones. It can also be used as such in formulations requiring its anti-odor properties. Methyl Undecylenate can be used as a precursor for undecylenic derivatives in cosmetics. It can also be used as an intermediate in the synthesis of flavors and fragrances, and also in the formulations for its anti-odor properties. Methyl undecylenate is used as a chemical intermediate in the synthesis of organo-modified silicones for hair care preparations and sun care products. As an intermediate in the synthesis of aromatic chemicals. Used as a starting material for derivatives used for their anti-fungal. Methyl Undecylenate is a raw-material for many important perfumery chemicals. 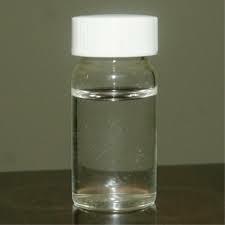 Methyl Undecylenate is also used in metal working fluids and lubricants. Methyl Undecylenate can also be a raw material for several derivatives used in the personal care industry for its anti- fungal properties and detergency.Methyl undecylenate is used in the manufacture of synthetic insect pheromones.